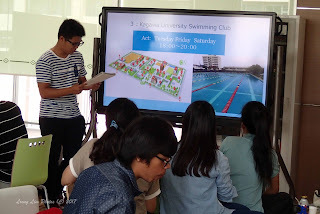 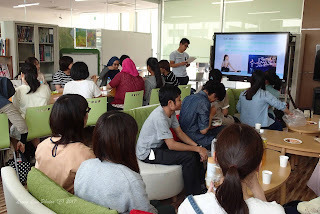 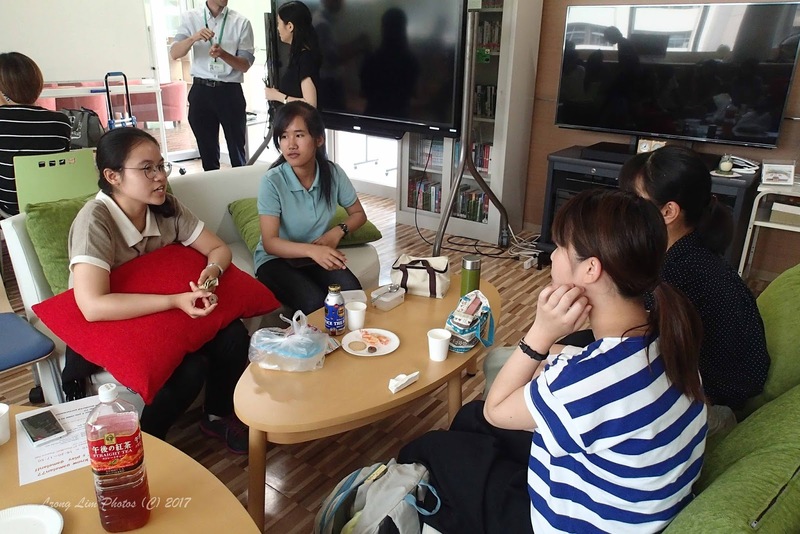 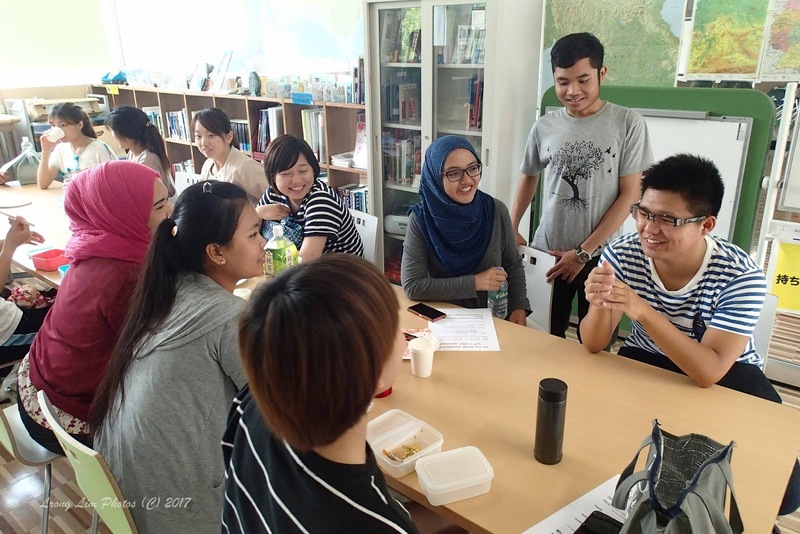 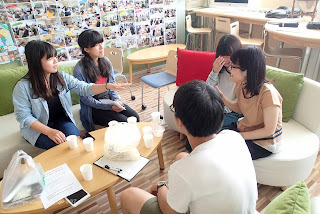 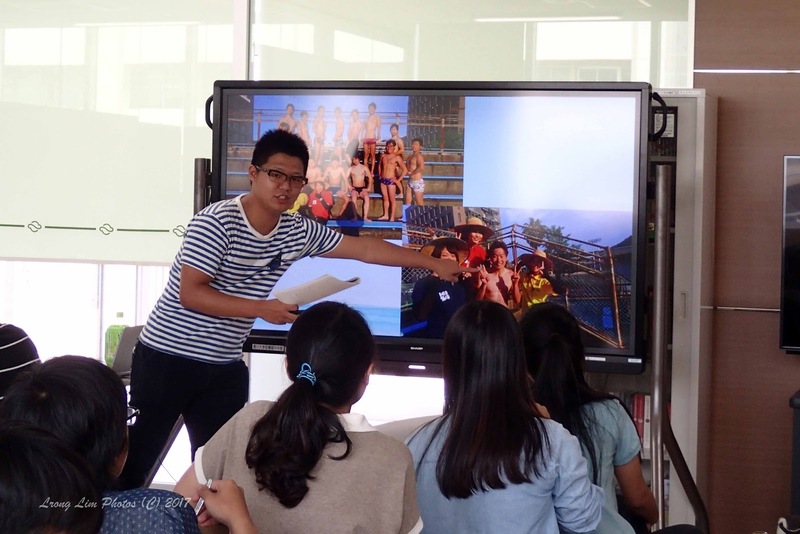 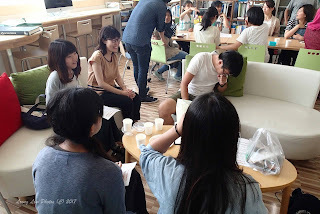 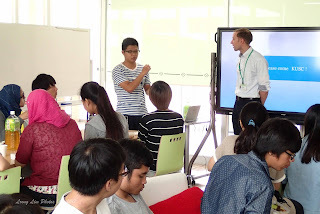 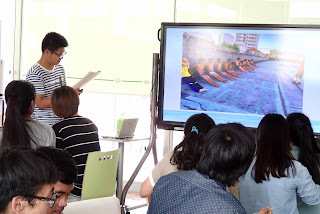 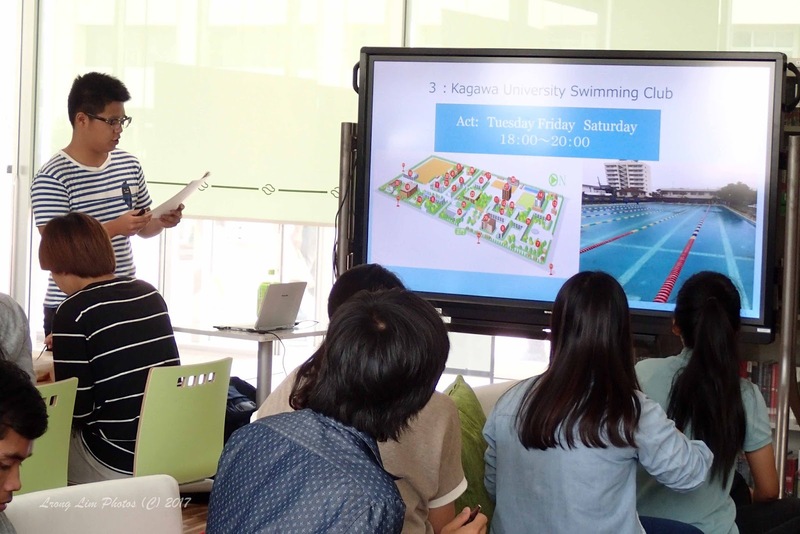 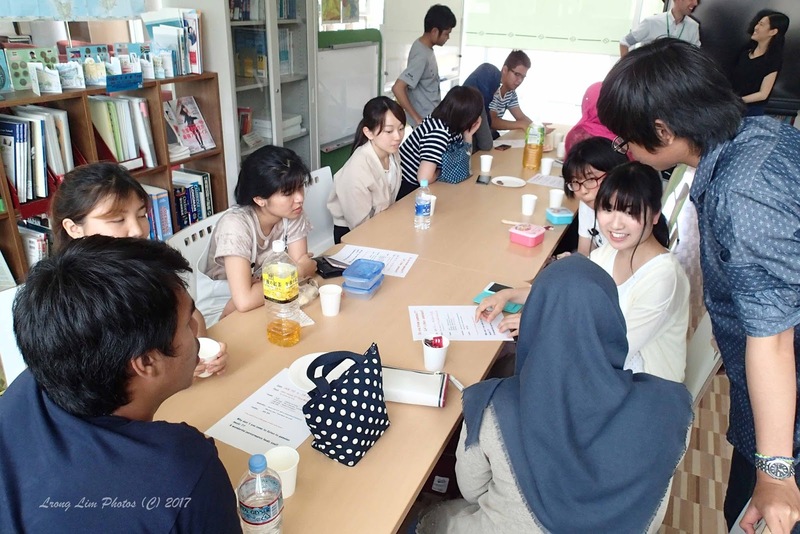 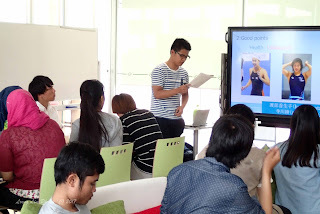 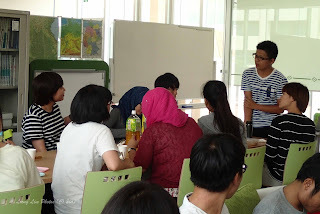 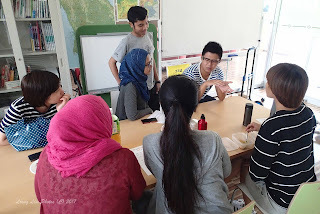 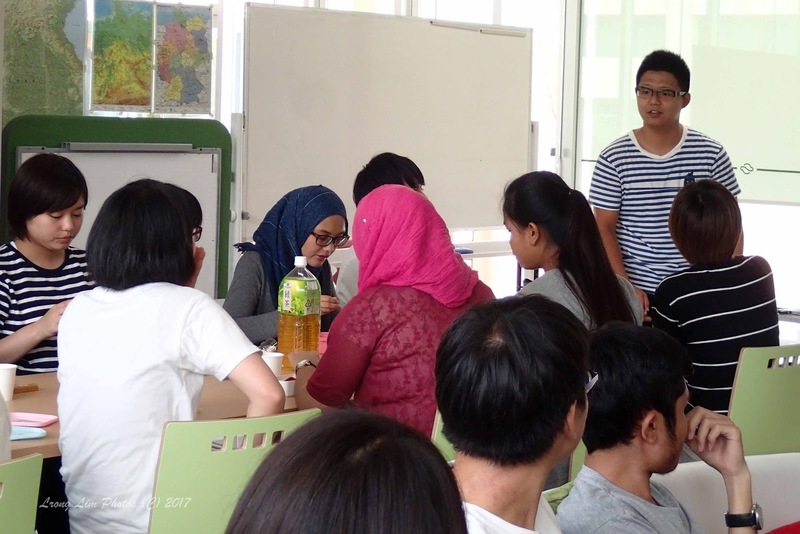 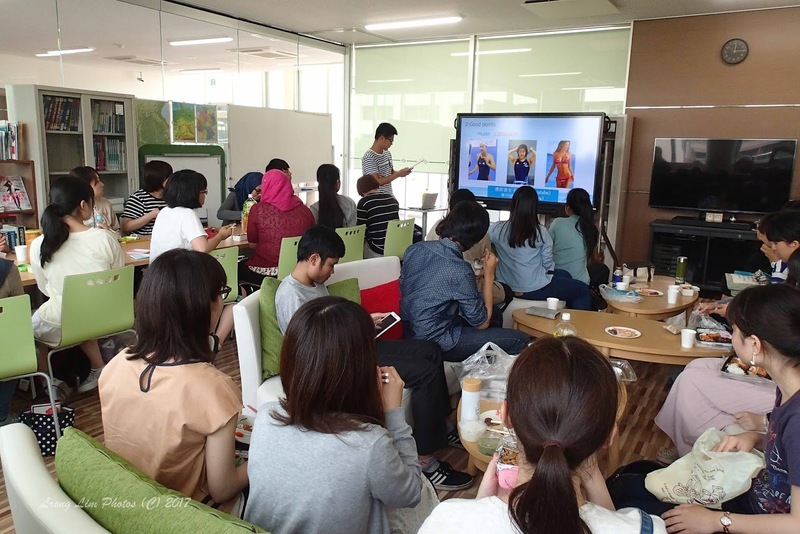 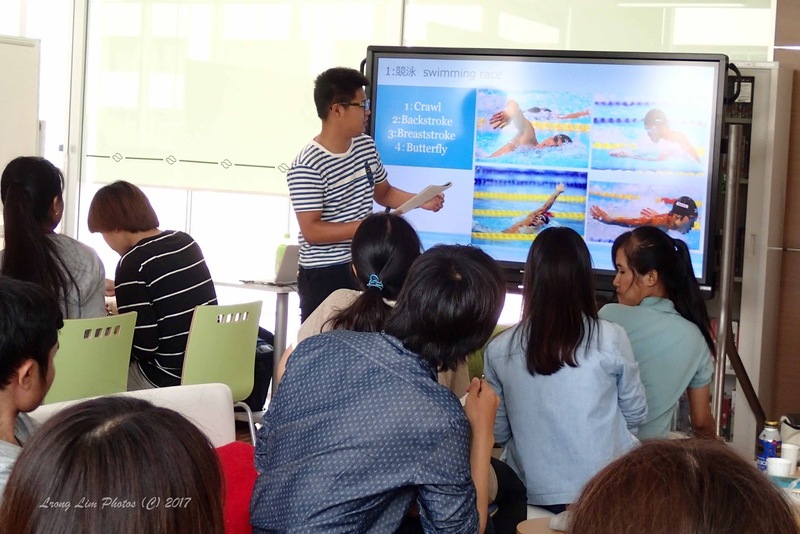 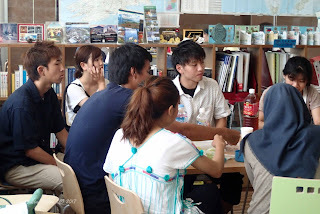 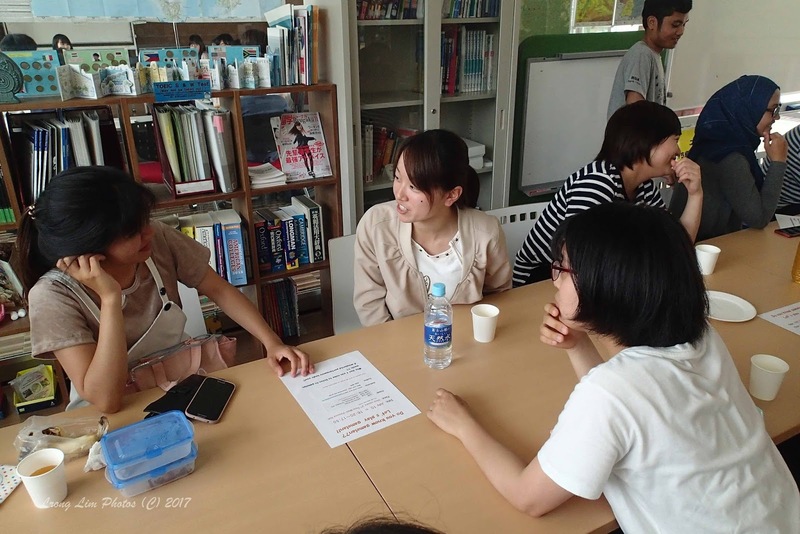 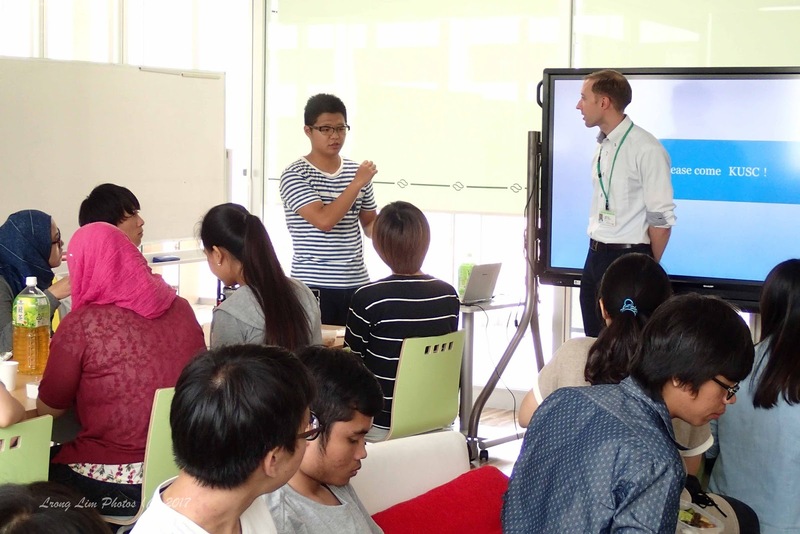 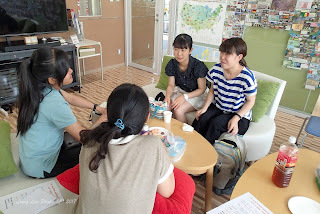 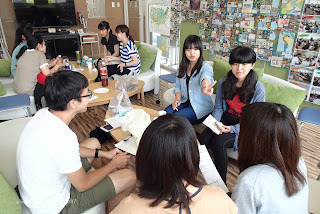 For this presentation, we had a Japanese student, Hiroki Anzai, talking about 'Swimming'. He belongs to the university swimming club. 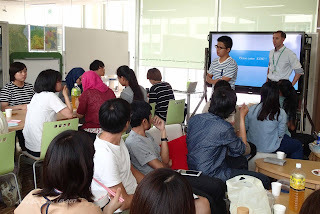 Twenty eight students came to listen to his talk.